Introduced in Italy as an even *smaller* alternative to the Fiat 500, the Volpe (fox) was met with much enthusiasm by the Italian Press. Pre-production models had engines installed but apparently these were for display purposes only. Problems with suppliers caused problems with customers. Despite many pre-orders and pre-payments no completed Volpes were apparently delivered. 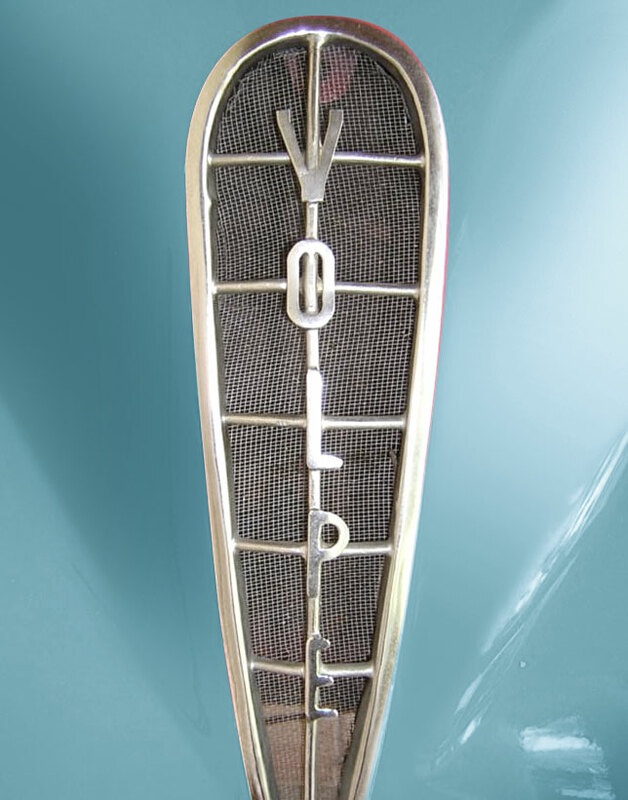 The car was also pre-sold and marketed in Spain as the Hispano-Volpe. 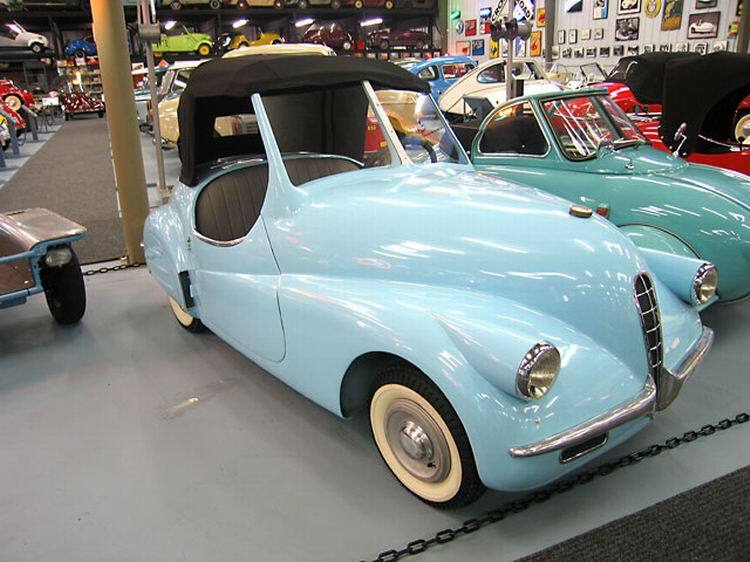 Reports of an actual running Volpe being delivered to the USA in 1951 were probably the result of someone obtaining an incomplete model of the car and fitting their own motor to it. 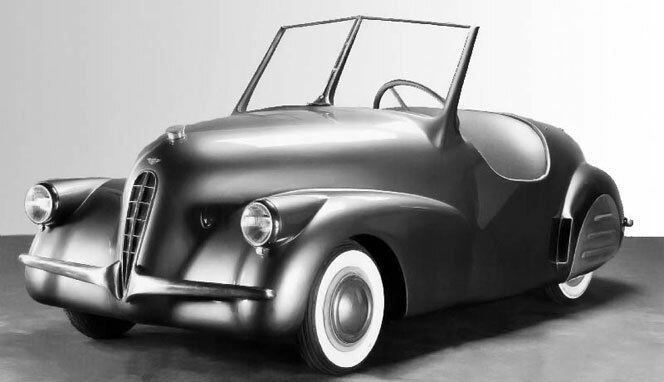 Also- a surprisingly identical car emerged briefly in 1951 called the Parvus Fox. Coincidence? 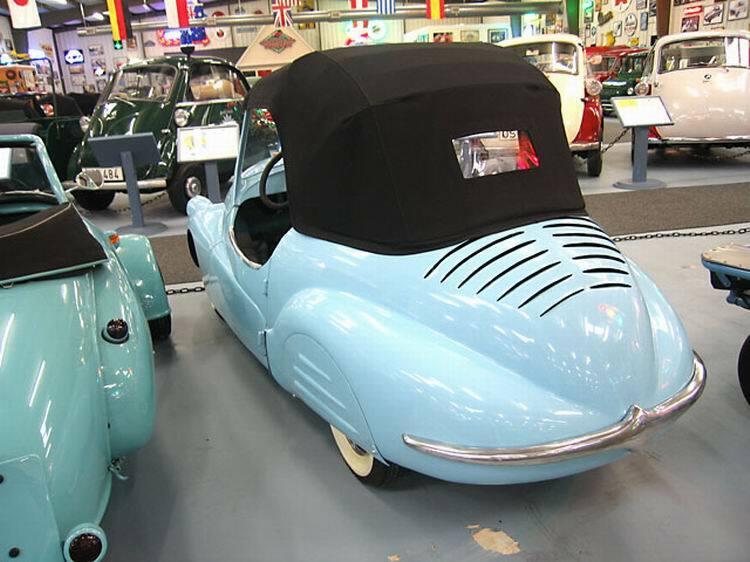 While expected to have a 125cc motor, none were probably installed and this car stays true to theVolpe as it was manufactured: It also has No Motor.